The highly regarded ecologist Aldo Leopold said that "intelligent tinkering" with nature required that the tinkerers keep all the parts. While we are missing many parts now, we can still put ecosystems back together in much the way they were and restore the valuable ecological and economic services they provided. the goals and size of the project. directed through the Contact Leeward page for a quick reply. floodplain, discharge at different flow levels, and vegetation. stream velocity at different flow levels. the present bankfull level, the level of highest efficiency of sediment transport. flood-prone area (the area between a return interval of about 1.5 and 50 years. shear stresses and other forces that may cause unusual rates of erosion or sedimentation. channel displays nearly all the features of a much larger stream. problematic weeds. Think of what has happened with garlic mustard, dandelions, brome grass, and many others. difficulty. Many are tolerant of both high- and low-precipitation seasons, because that is a primary feature of our climate. at once to send down roots and create the organic layer, thus rebuilding the topsoil. plants in flower beds is far less likely to impose these disadvantages on you, as it is much more like everyday gardening. The main differences happen below the surface, once the plants are growing. follow-up on your developing garden or restoration. Botanical or floristic inventories have a wide variety of uses and about as many methods of data collection and management. The choice of method depends on the goal of the inventory. A simple inventory list may be preferred, and the person conducting the inventory will need familiarity with nearly all the species that could appear across a number of ecosystems and plant communities. Often the quality of a particular ecosystem, such as tallgrass prairie, is best demonstrated by "conservative" species, the plants that are most likely to suffer from disturbances. These are also the species that are less familiar because they are not dominant members of that plant community and/or because they are easily overlooked. A good field botanist needs to recognize these or, at the very least, be able to place an unidentified species in a larger taxonomic group and use botanical keys and laboratory equipment to complete the identification. Inventories should include at least three visits during different seasons. In the Midwest, many plants bloom according to a cool-season or warm-season "schedule." Cool-season plants appear in early to mid-spring and flower from late March to June. Seed production begins anytime from April to mid-summer. Some of these plants have almost no trace on the surface by June, because they die back to dormancy. 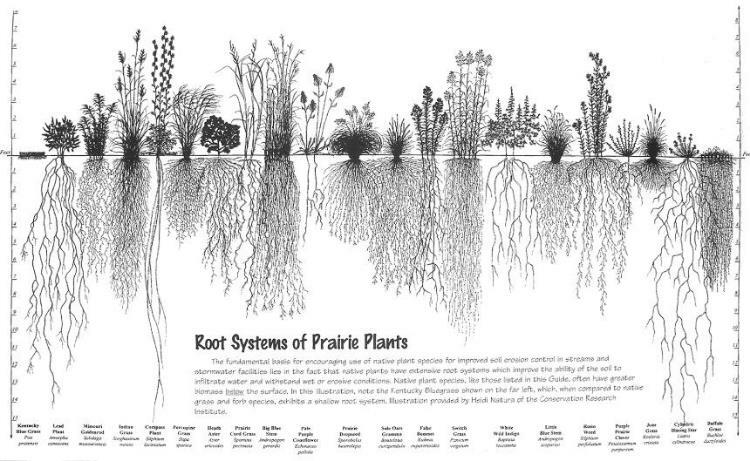 In contrast, warm-season plants, including many well-known prairie species, may exist as green growth through early to mid-summer, with flowering occurring in late summer to autumn and seed production thereafter. For example, an April inventory may completely miss many warm-season forbs and grasses that have barely sprouted or grown shoots. It is necessary to recognize seedlings and young plants from their overall growth pattern ("aspect") and botanical features. 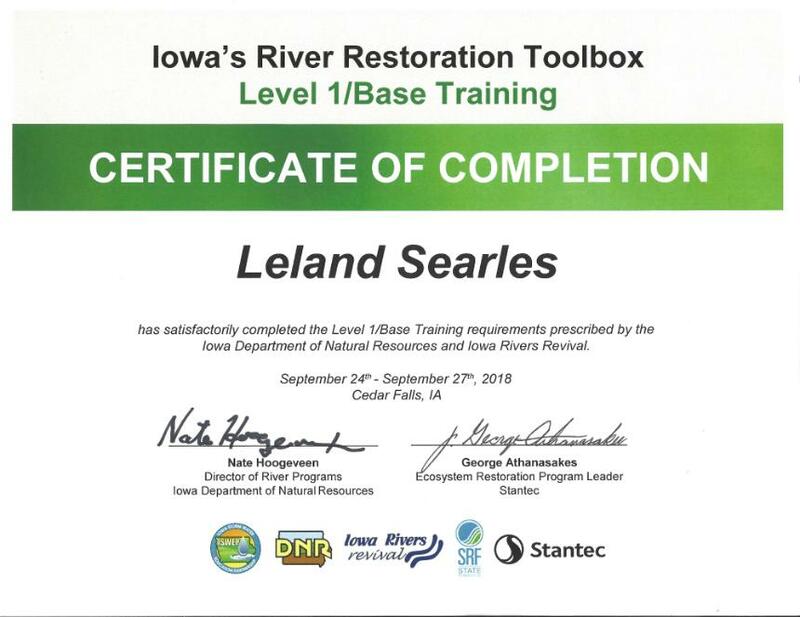 Beyond listing, mapping of ecosystem remnants or restoration efforts may be a goal. Mapping enhances a project in which preservation and expansion of an existing area of native plants are desireable. Good field notes (with or without technology such as a lightweight laptop and premade plant list files) and proper equipment, such as GPS (Global Positioning Systems), are very useful. Boundaries between communities and areas in which different communities intergrade are of interest, and their correspondence to other physical features, such as historical records, soils, and topography may be of interest. Further, if seed collection for restoration of other areas is one goal, fairly good mapping can help the collectors with relocating a patch of a given species during peak seed production. Statistical methods for assessing the quality of a plant community carry the analysis even further. These start with detailed inventories and, in the best of worlds, mapping, followed by the assignment of a Coefficient of Conservatism to each species. The Coefficient comes from a list that has been drawn up and agreed upon by botanists, and it usually covers an entire state or ecological region. The coefficients are then added and the Floristic Quality Index (FQI) is determined through a mathematical equation. The FQI is a quantitative, shorthand means of stating the quality of a given location from the proportion of conservative (uncommon and/or specialized), generalist (and usually common and hardy), and exotic (nonnative) species. For preservation and restoration work, a high quality result is optimal. However, such remnant areas are rare in Iowa and the Upper Midwest Corn Belt. More likely a remnant area has degraded over time so that only the most tolerant species are left, or natives are well mixed with nonnative species. Interseeding and prescribed burning or mowing may work well, in order to avoid disturbance of the existing native plants. However, if very few or no native species exist at the site, the process must start from scratch. It's best to use local ecotype seed that has been gathered from remnants within 50 to 100 miles and is already adapted to conditions at the restoration site. Otherwise, seed from a regional supplier is a last resort, in hopes that several years of management will result in a genetic base similar to the native local species. Except for an area that already is a high-quality remnant, the change in the FQI or other numerical expression of quality over time is more important than a quality measure at one point in time. Restoration, whether through enhancement of an existing plant community or beginning from nothing, is a multi-year process. Copyright 2012-2016 Leeward Solutions, LLC. All rights reserved, including for images and text on the site. Phone: 515-979-6457.